Dr. Doolittle talks with the animals and WDSrx is learning to communicate with them as well. 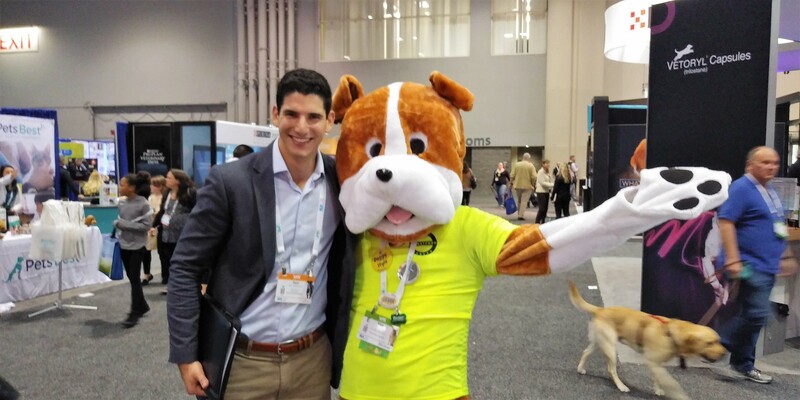 The North American Veterinary Community (NAVC) held their VMX (Veterinary Meeting and Expo) show in Orlando, Florida hosted over 17,000 guests over a five-day period. Over 700 exhibitors provided product details and demonstrations to the veterinarians and animal health professionals in attendance. WDSrx Marketing Director Larry Hotz and Business Development Manager Sam Seelenfreund met with many of them to discuss their logistics requirements. One of the first visits Larry and Sam made was to the non-profit area of the show floor for a visit to the National Animal Supplement Council (NASC). The NASC is dedicated to protecting and enhancing the health of companion animals and horses throughout the U.S. WDSrx is proud to be a Preferred Supplier to NASC membership. 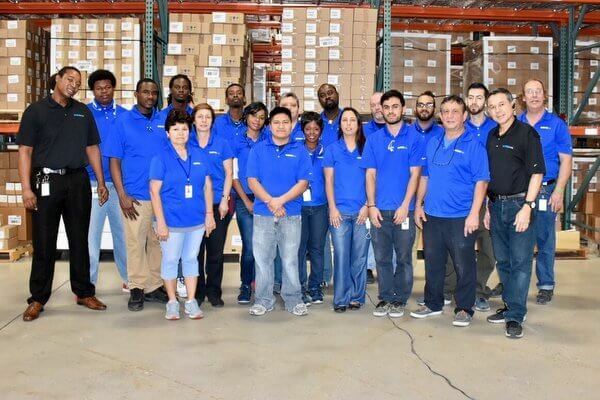 In multiple conversations with manufacturers of medical devices, medications and health and wellness products for animals, the WDSrx team outlined benefits of working with a pharmaceutical logistics services provider to increase efficiency and productivity. “Manufacturers of animal health products utilize pharmaceutical logistics services providers to achieve savings and for greater access to customer data compared with the traditional ‘distributor’ fulfillment model,” according to WDSrx President Adam Runsdorf. For example, Sam and Larry found a receptive audience when they explained that, unlike a distributor relationship, customers retain ownership of their product when working with a logistics services provider. This enables the manufacturer to obtain valuable information directly from trading partners and end-consumers that can help refine marketing strategies for business growth. Distributors place themselves in the middle of the supply chain between manufacturers and customers and may withhold important customer data. 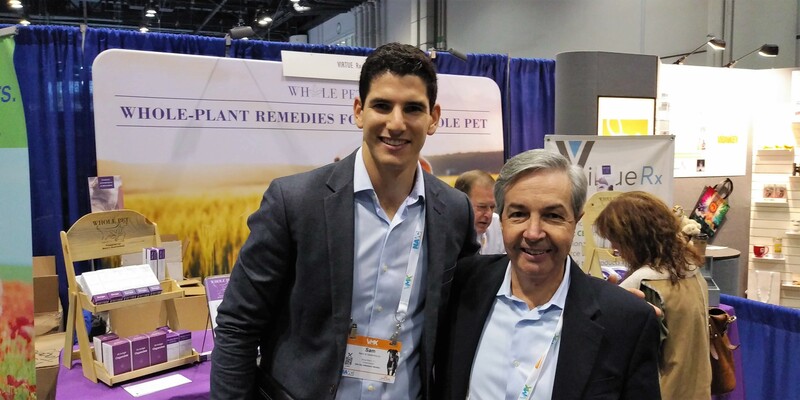 WDSrx Business Development Director Sam Seelenfreund meets at NAVC VMX Show with Frank Mazza, Co-Founder at Virtue Rx, LLC to discuss logistics services for animal health manufacturers. Animal health product manufacturers can also develop positive relationships with their customers through a partnership with a logistics services provider by assuring product quality. The NASC seal on veterinary products is a sign of ingredients quality. However, the product itself may be stored in poor conditions affecting product quality when it reaches the pet owner. WDSrx pharmaceutical warehouse facilities adhere to cGMP guidelines for pharmaceutical drug products. These standards, set out in the Code of Federal Regulations 21CFR 210/211 developed by the U.S. Food and Drug Administration (FDA) require additional safeguards compared with warehouses with lower compliance standards. Third, higher standards for product storage and also for information transparency often come at a comparable fee structure to existing costs using a traditional distributor. For these reasons, manufacturers at the VMX show paid as much attention to the WDSrx team as the well-trained dogs in attendance paid to their owners. For more information about pharmaceutical logistics providers and services for animal health manufacturers, click here or contact Larry Hotz at lhotz@wdsrx.com or call 561-998-3885 x304.